What a darling card, Lin! Love those heart splatters behind the two doily hearts. So pretty. What a FUN card!!! I just love your wonderful cards- excellent designs!!! I love this sweet card, Lin! 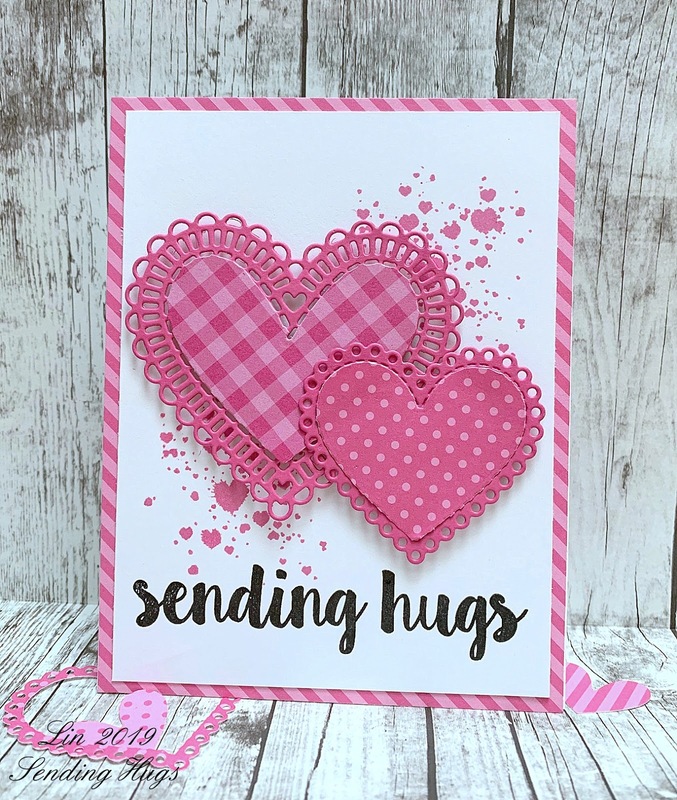 Great design and card, loving the way you gave the hearts interest with dots and gingham. I really love those splattered hearts for the background. Loving your card. So great with those doily hearts, Lin! Just love the patterns!! This is fantastic, and I absolutely LOVE how you put it together! The dsp and spatters make this one very special!! Sweet. love the patternes inside the solids. What a special card! The gingham and the doily edges are wonderful!